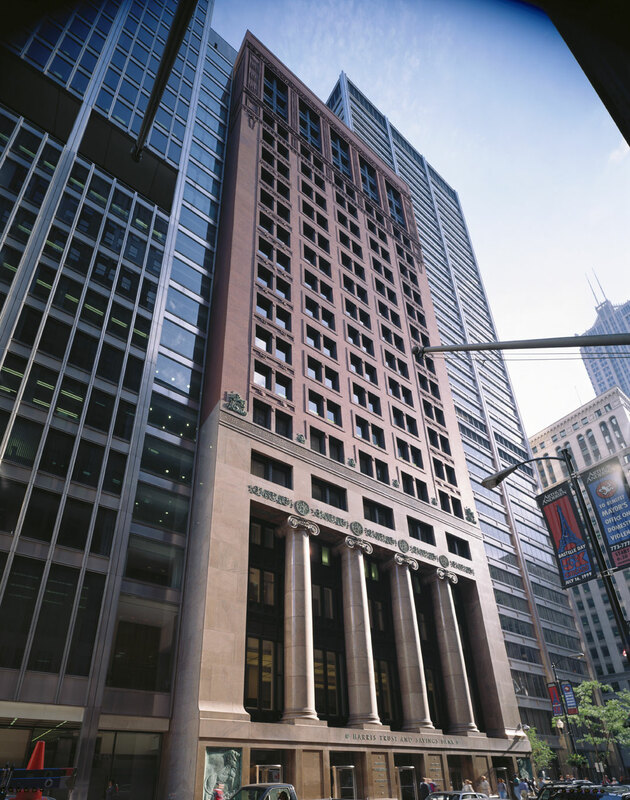 Harris Bank Complex includes three connecting buildings that encompass approximately 1.2 million square feet. 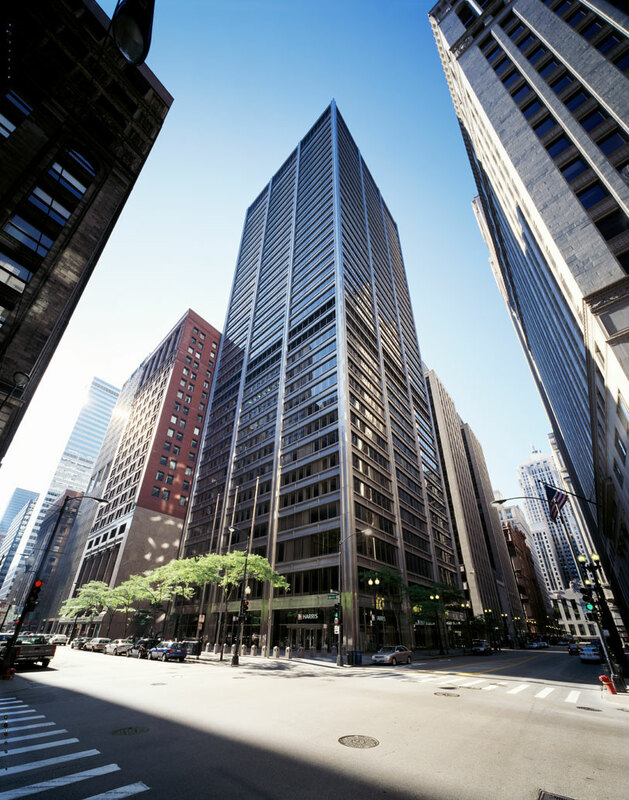 The 37-story West building, clad in steel and glass, is located at 115 South LaSalle and contains 592,000 rentable square feet. 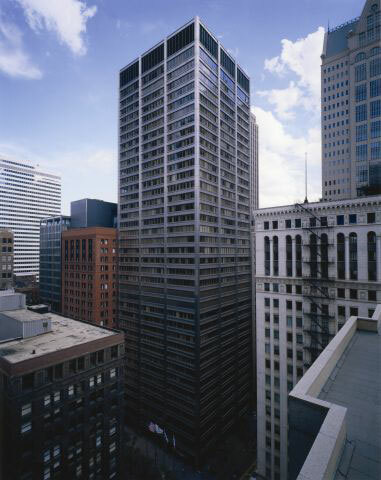 It was designed by Skidmore, Owings & Merrill (SOM) and was completed in 1974. 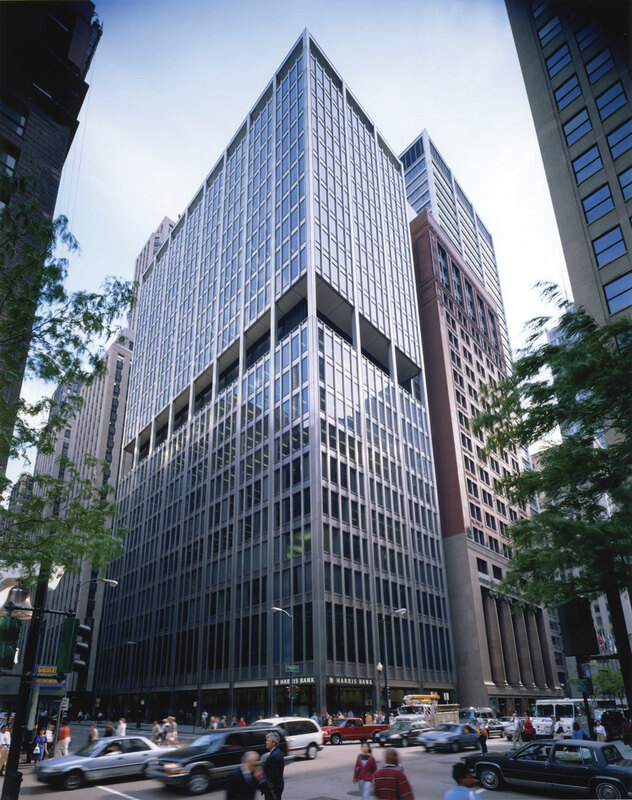 The East and Center buildings, which share the address of 111 West Monroe, rise 23 and 21 stories respectively, and contain a total of 611,000 rentable square feet. The Center building, which is the original Harris Bank building, was constructed in 1910 and was designed by Shepley, Rutan and Coolidge. The East building, also designed by SOM, was completed in 1958. The properties are connected at 15 floors allowing crossover from the East/Center buildings to the West building. Redevelopment of the Year for the numerous improvements made since March 2005.